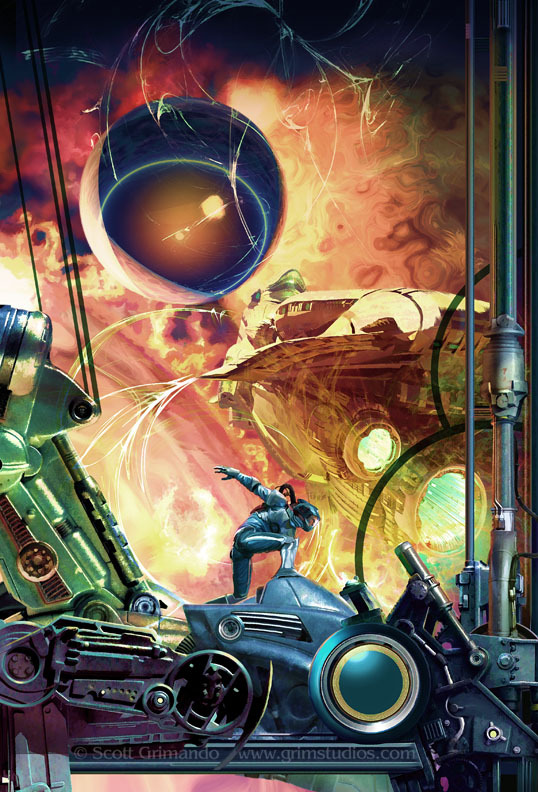 One of my favorite modern concept artists is Stephan Martiniere. I've always wanted to integrate some of his design sensability into my own work but our styles are so different. I've had the pleasure of spending some time with him and he describes his process like an abstract painter, building up patterns of lght and dark and refining the image as he goes. I don't think I could ever do that but in this case I had to fake it because I was asked to take over this series from Stephan (he was to busy). The assignment forced me to think in more abstract terms. I've been integrating more of that design sense into my work since then. Stephans's influence can be found in my latest Kris Longknife cover, Undaunted and in the new Stacia Kane series I'm working on.